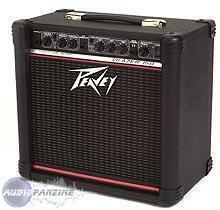 Blazer II, Solid-State Combo Guitar Amp from Peavey. MGR/L.B.H. 's review"Peavey Transtube Blazer 158"
I bought this amp so I could keep playing while my vintage "Fender Deluxe Reverb" was in the repair shop. I made the purchase on the spur of the moment as I was short on time. I had originaly planed to buy a Marshall practice amp to tide me over but the shop I went to didn't carry them. I asked for a practice amp with a tube sound. 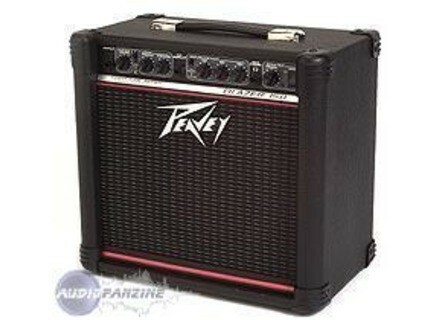 The salesperson went straight for the "PEAVEY TRANSTUBE BLAZER 158". Three minutes latter I was in my truck with my new amp. When I finely got home I was delighted. The Transtube 158 gets as dirty as you could ever want, but can quickly be tamed into the clean sound of a vintage tube amp. I had at one time thumbed my nose at solid state amps, but no more. This amp does everything I ask it to do and more. Bad news for the vintage "Fender" amp. I'ts still in the shop and it may be playing second fiddle as a practice amp when it gets home. I love the portability.The versatility is great. With a flick of a switch I go from a deep growl to the bright clean blues sound. Can't miss with this one! Very good quality. Instructions to the point. Exellent choice for a versitle practice amp.